Due to its subtle coloration, this 16″ Dogwood shade has a light and airy personality. The blend of subtle pink, light green, and light blue is calm and refreshing. 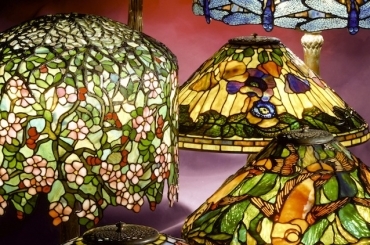 The shade is shown on the Flower Petal lamp base. Both shade and base were made at our studio. 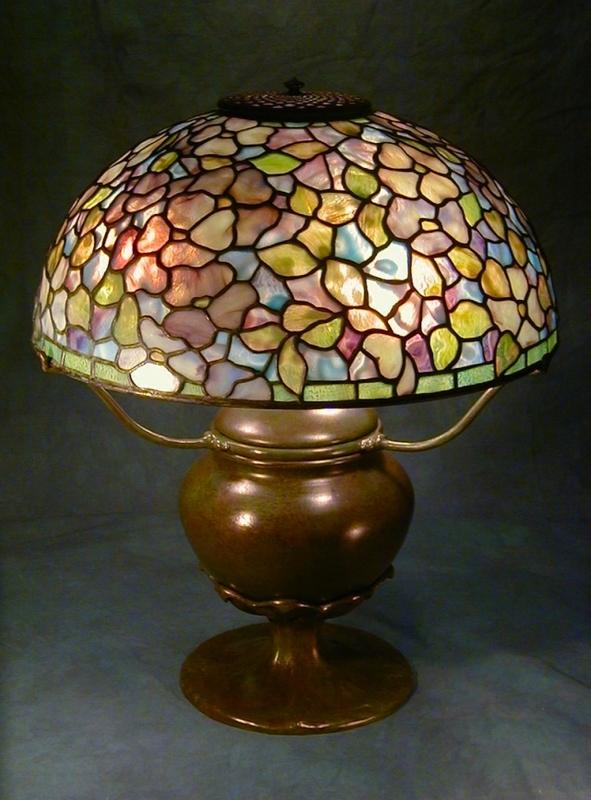 Created in 2002 as a showroom piece, this lamp is now in a local collection.